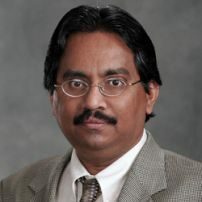 Arif Ansari is a Professor in the Data Sciences and Operations Department at Marshall School of Business at University of Southern California, Los Angeles. He is the CEO of Intuition Intelligence Inc. developing Creative Analytics Solution for the Digital Media. He is an expert in Big Data Business Analytics, Digital Marketing, IOT and Intelligent Systems. Dr. Ansari holds multiple US and international patents in Real-time AI based Machine Learning Systems. He has given many key note speech on Analytics. He has developed Analytical Engines for the Manufacturing, Retail, and Media sectors. His Digital Innovation for predicting Viral Contents and Topics was selected as one of the top 5 among 250 innovative ideas by Thomson Reuters at the GIES Summit for the Innovation 4 Impact competition in Dubai, 2016. Recently Intuition Intelligence was selected as the Top 10 Innovative Companies in the Digital Media space by AdTech Delhi and Dubai Lynx.